Douglas Halliday is a Senior Lecturer in the Department of Physics at Durham University. He is Director of the Multidisciplinary Doctoral Training Centre in Energy, part of the Durham Energy Institute. The Centre brings together 50 PhD students from a range of disciplines across the Sciences, Social Sciences and Humanities to provide a multidisciplinary training environment. Energy research at the Durham Energy Institute has a particular emphasis on “Science and Society” exploring how societal, economic and political factors relate to technical solutions for sustainable energy solutions for the future. Previous to this Douglas was Dean of Durham University’s Graduate School responsible for postgraduate students. In this role he was the winner of the 2009 Time Higher Education Award for Outstanding Support for Early Career Researchers. Douglas researches new materials for thin-film solar cells and has published widely in this field. He is a Fellow of the Institute of Physics, a Fellow of the Higher Education Academy and a Fellow of the Energy Institute. 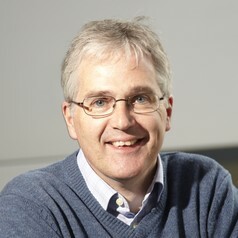 Douglas originates from Dumfries and Galloway, attended Edinburgh and Nottingham universities for his BSc and PhD. He spent a period as a Research Associate for the National Research Council of Canada based in Ottawa in the 1990s.